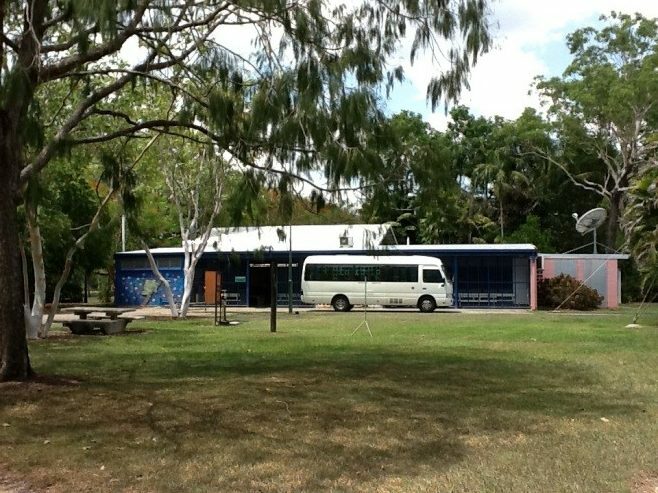 Middle Point School is situated in a picturesque, historically and culturally significant area of the flood plains of the Northern Territory. It is located about 70km from Darwin, off the Arnhem Highway between Fogg Dam and the Adelaide River. Our school initially opened in 1964 in a house within the Middle Point Village. The current school building was built and opened in 1968. The school consists of two classrooms, a library, office and undercover area. Middle Point Village has changed in use from C.S.I.R.O and D.P.I.F. personnel to mainly Sydney University personnel. In 2008 Sydney University took over the village for their environmental research and the Conservation Commission moved closer to Fogg Dam. Most students travel by bus to the school from either Humpty Doo and Lambells Lagoon areas or from the Corroboree Park and Marrakai areas. The current enrolment is 17 shared between an Upper and Lower Classroom. Due to an ongoing change in population groups Middle Point is now becoming a more culturally diverse school.